HomeGenie is a Home Inventory and Organizer program providing a plan of your home and a digital and photo inventory of all your items for insurance purposes. You can setup the software to record any information you wish to store about them. Utilising its Home Planner feature you can plan the layout of your home no matter what the size and detail all your items.With its complete Home Organizer ability it is a key element for insurance purposes. 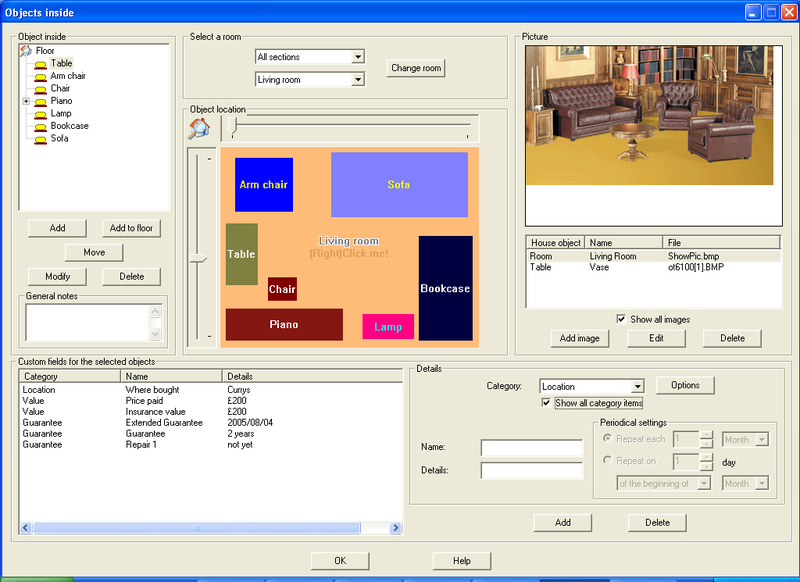 Some of the features include viewing all your items via the floor plans, ability to put items on top / inside / under any object, add unlimited pictures of items and the rooms, find items in the home and print detailed reports, setup your own custom fields for every item in the home, setup your own categories for items, move objects from room to room with a click of a button, reminder add-on to setup reminders associated with objects and also for personal use, ability to create multiple home files plus much much more.